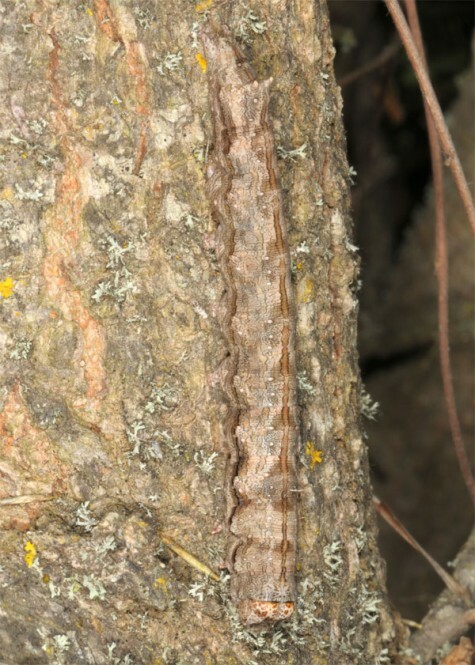 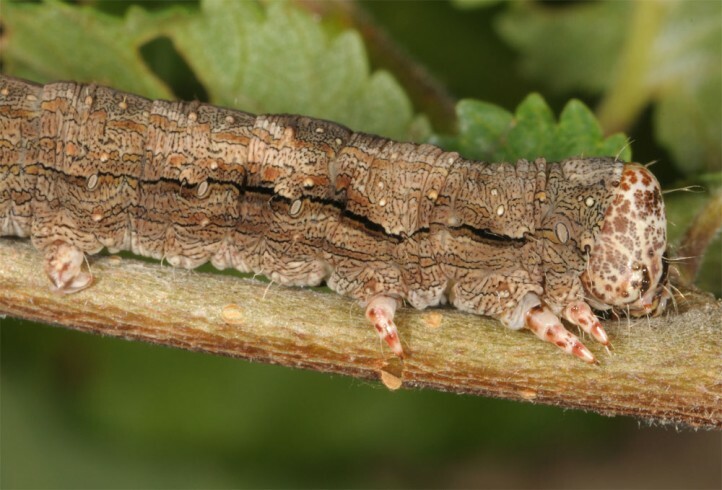 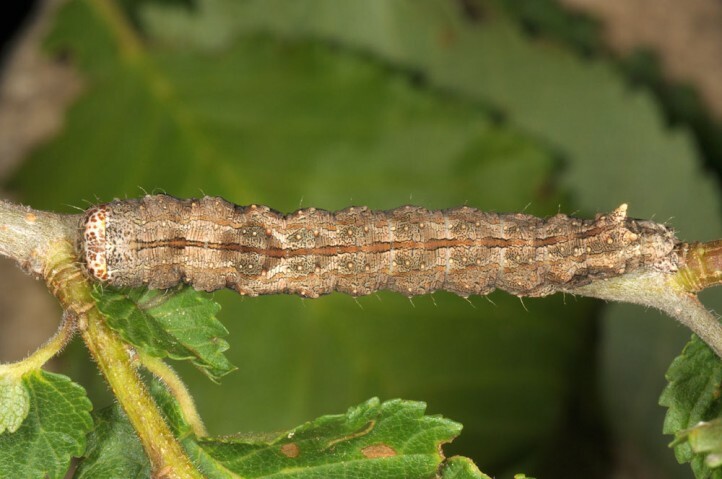 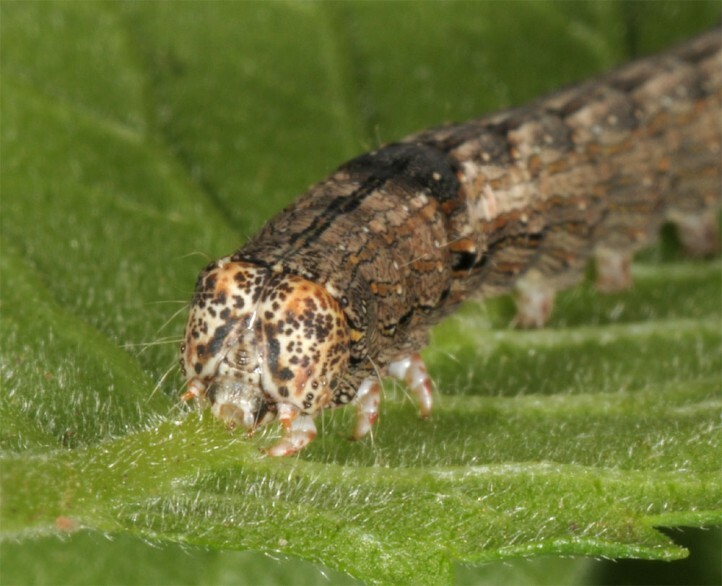 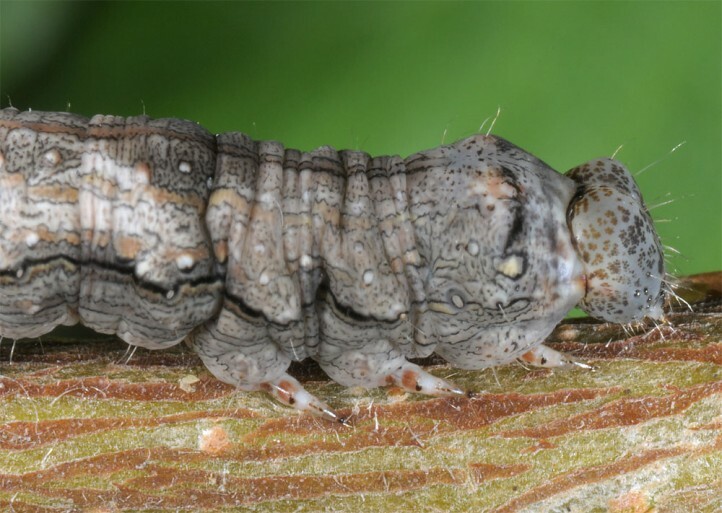 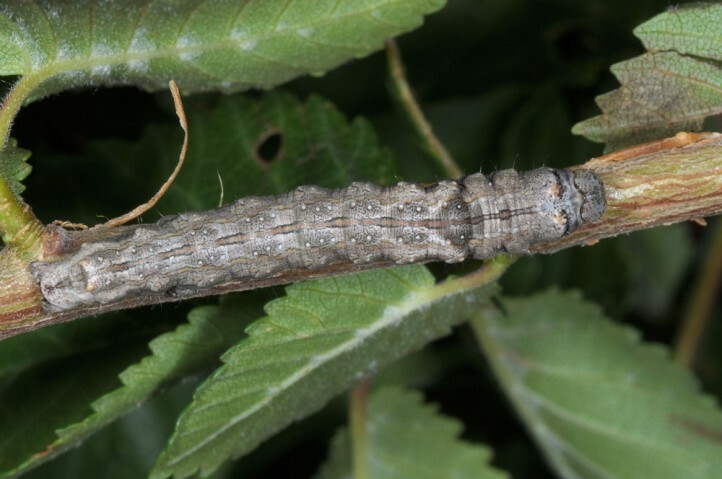 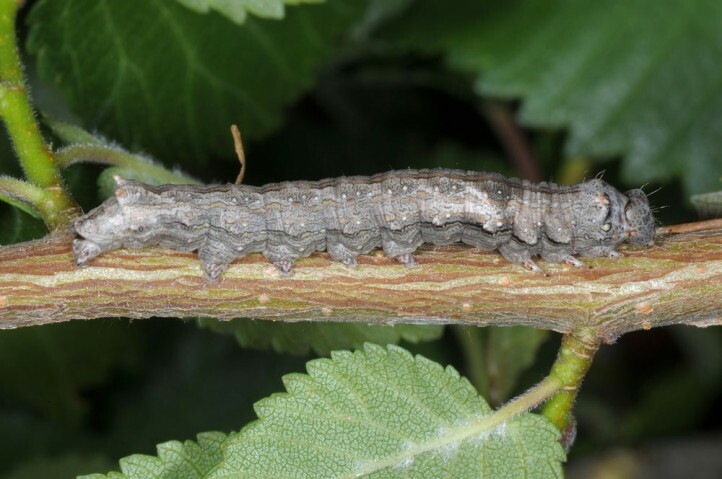 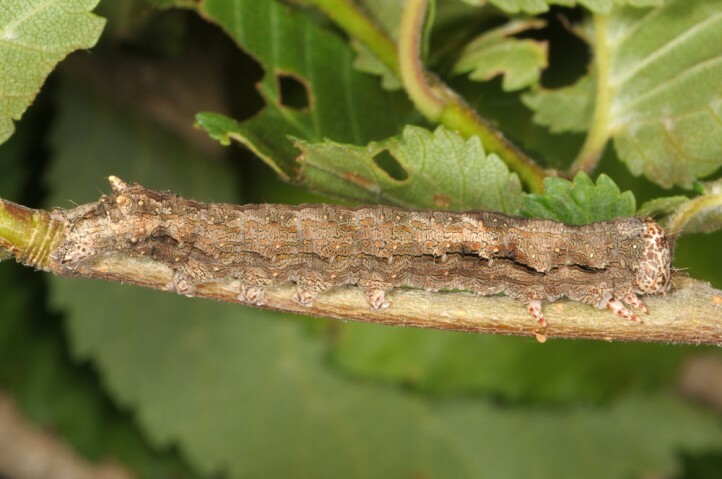 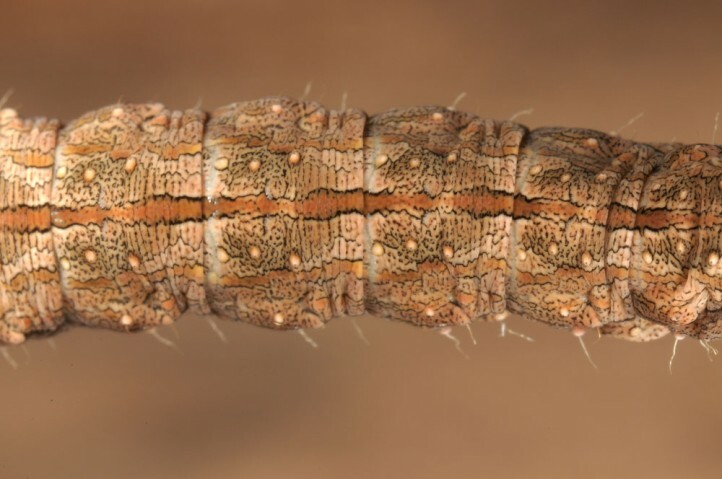 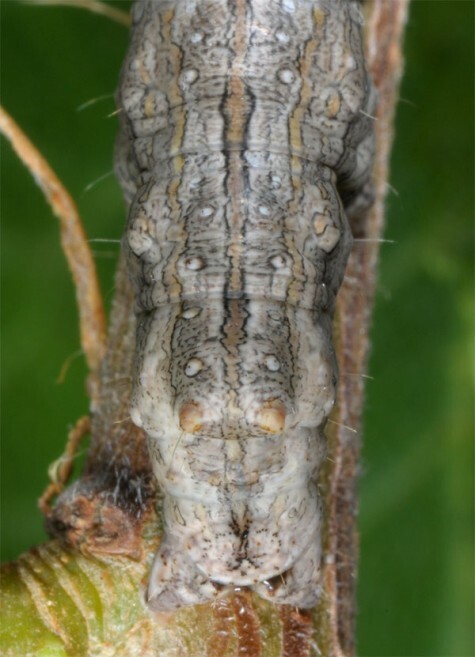 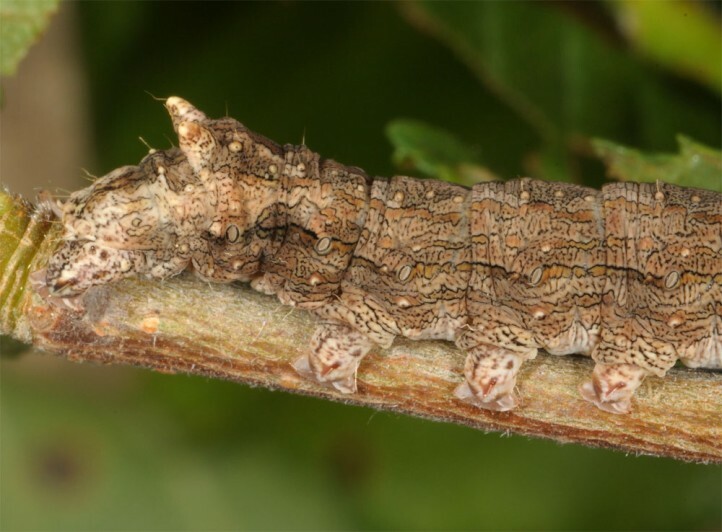 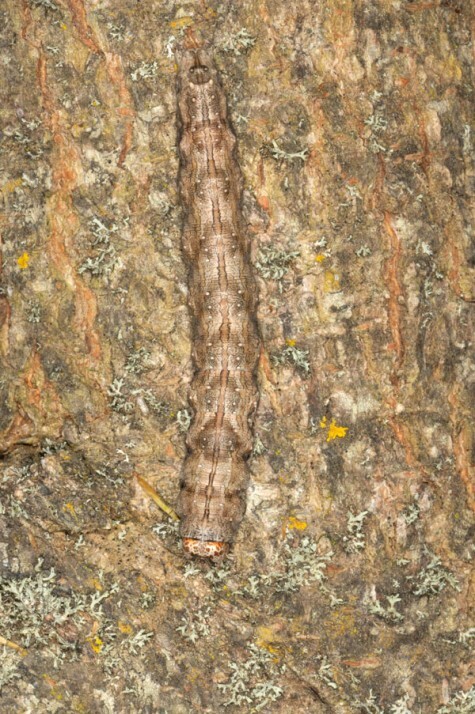 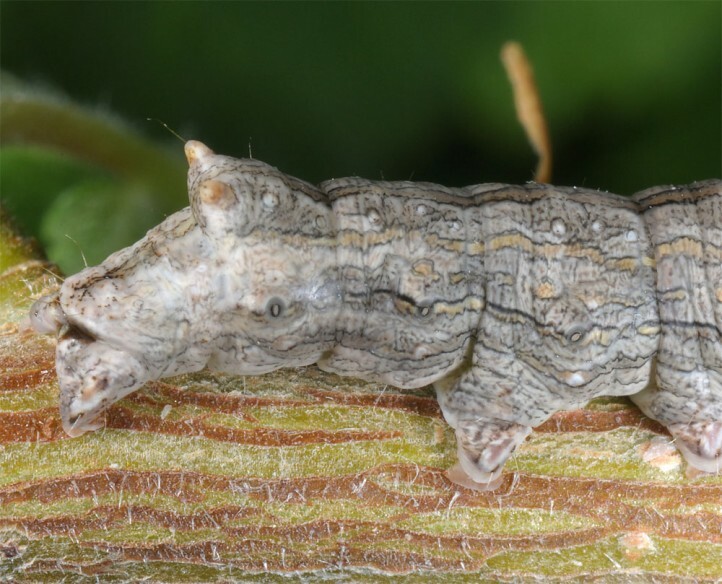 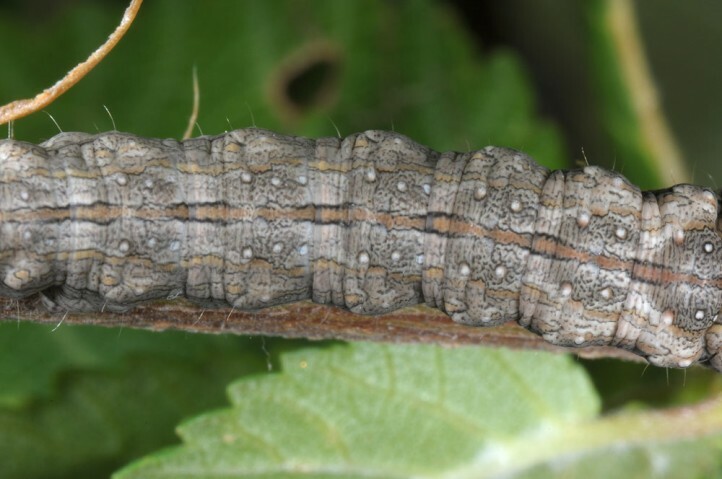 The larvae feed on elms (Ulmus sp.). 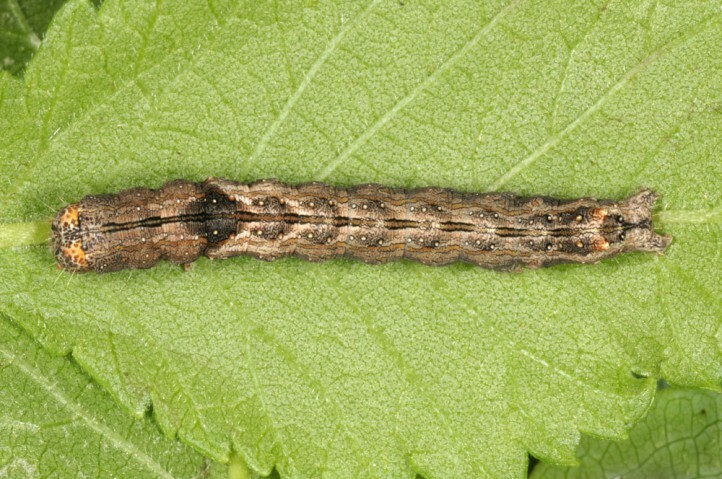 Meganephria bimaculosa inhabits elm-rich groves and warm, open woodland. 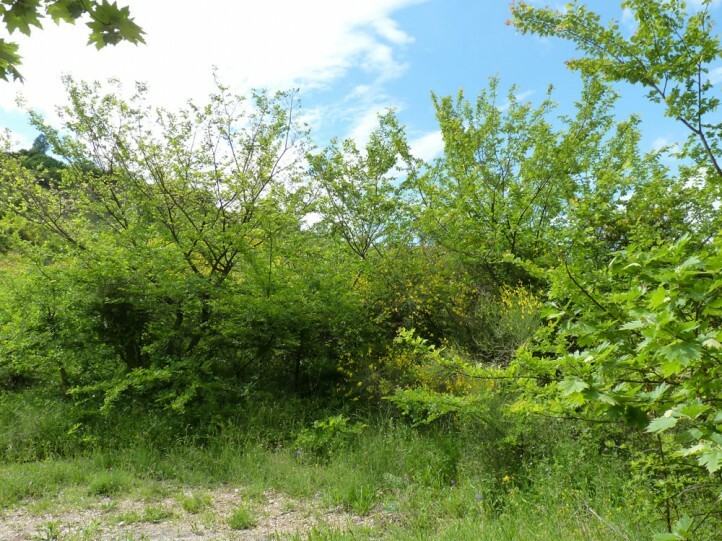 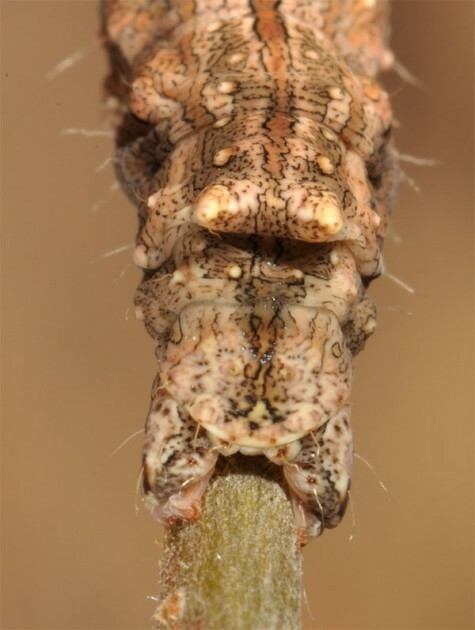 I recorded the larva on elms along a small streamlet near Mount Chelmos (Peloponnese) in 2016 and 2017. 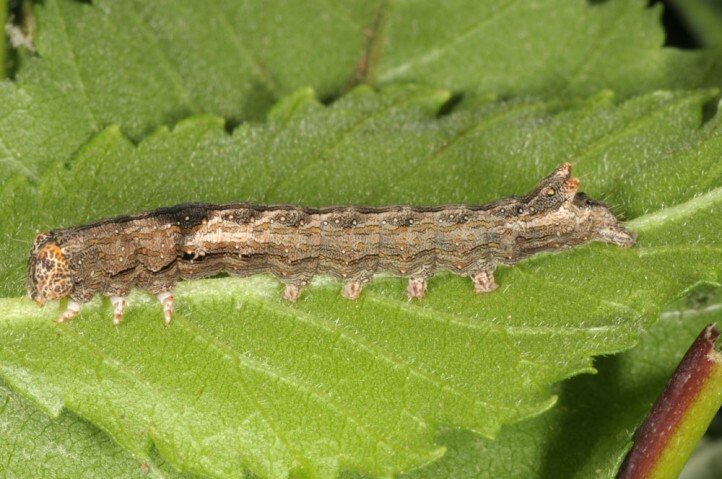 In May 2017 I also found a larva in Samos Island (Manolates stream valley). 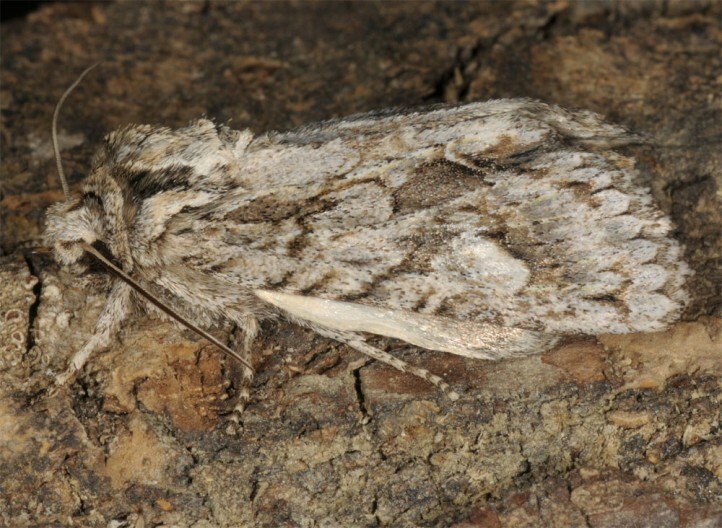 The moths occur in autumn (especially October). 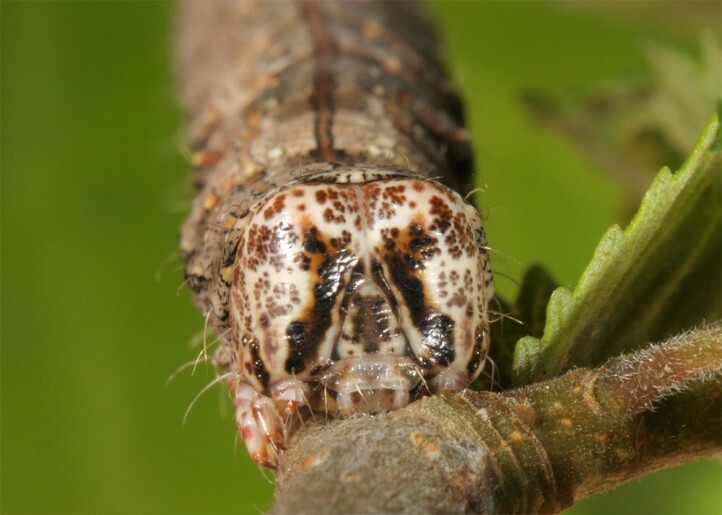 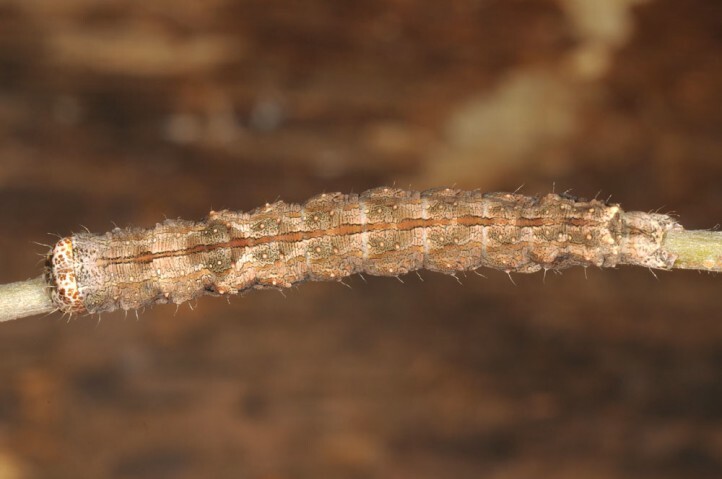 The egg hibernates and the larvae feed between April and early or mid-June. 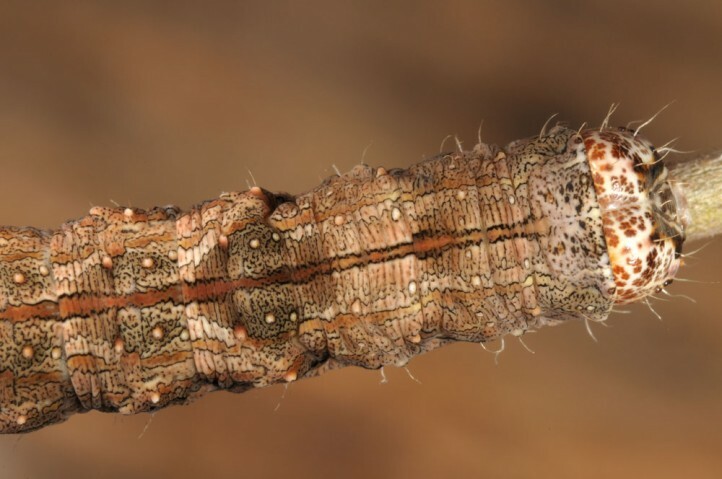 Meganephria bimaculosa is almost extinct in Central Europe, probably because elm-rich, warm and sunny groveshave become quite rare in the uniformous agricultural steppe and because Meganephria bimaculosa has high demands on area for a functioning meta population structure. 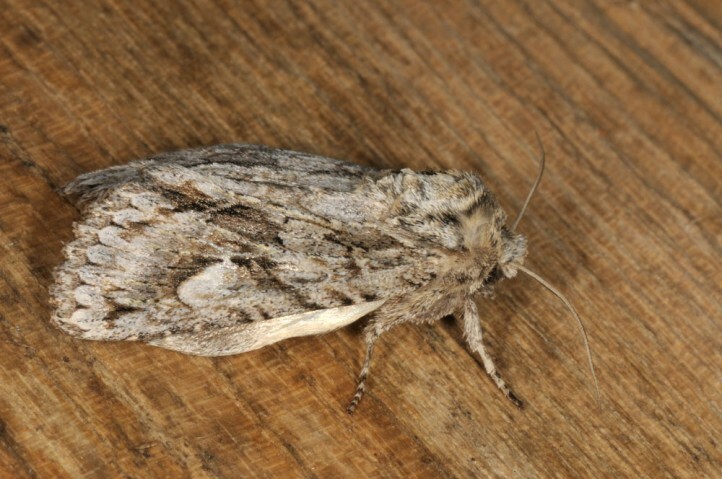 Meganephria bimaculosa is still much less threatened in S-Europe. 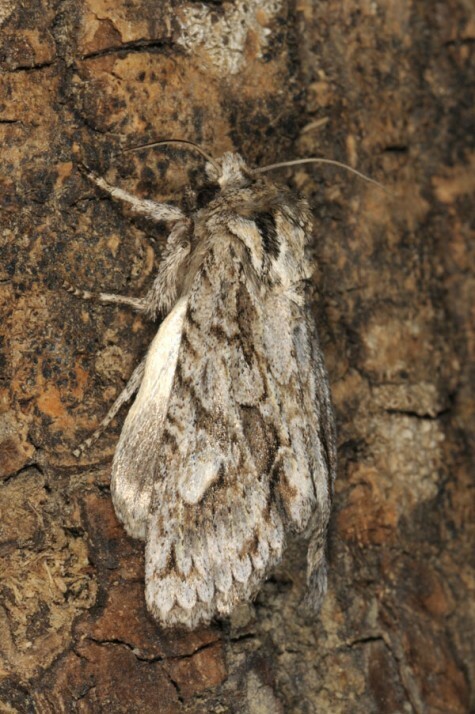 Meganephria bimaculosa occurs in South and parts of Central Europe (almost extinct) as well as in W-Asia (e.g. 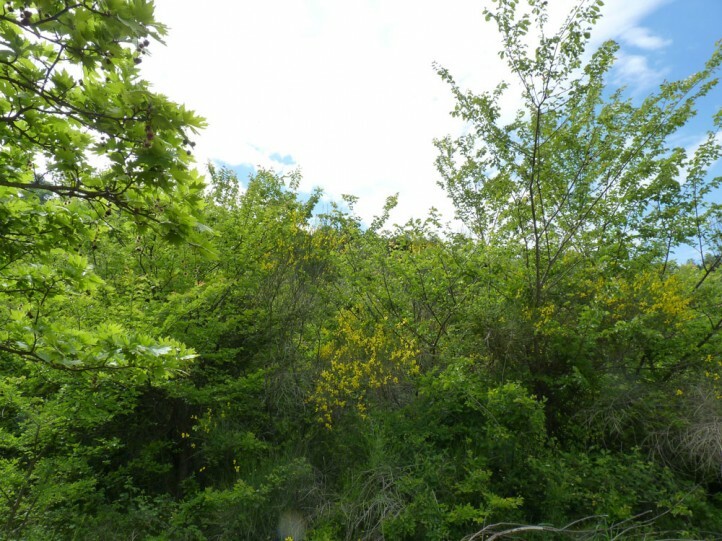 Turkey).